The Cleveland Browns will have nothing to do with the playoffs but let’s stop and reflect for a moment. 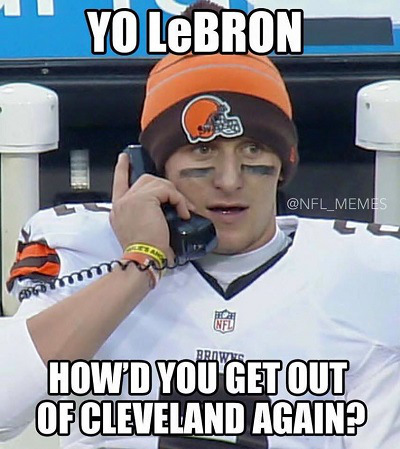 How brutal was Johnny Football on Sunday against the Cincinnati Bengals? That seriously surpassed all expectations for how poorly a first round draft pick could play the position. Manziel appeared overmatched, unaware, and flat out unready to play the position.